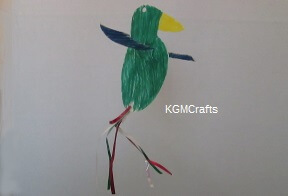 Most of the unique animal crafts for kids can be used in their imaginary play. But they will find creating them equally fun. Plus the projects use easy to find household and craft supplies. So let's pretend. Give the dinosaur some leaves, the cat a home. Quick, get some play dough and sticks and let's make a fence. No escaping here just fun at its best. Dogs, cats, birds, wild creatures, and dinosaurs too. What do we want to make first? Little fingers waiting to create. Little prints making little things. A bunny, a turtle, a nice little animal. Let's see what we can make, with only our fingers and a little ink. 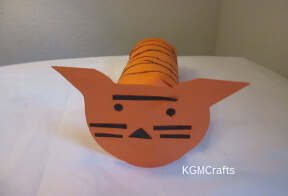 Be sure to scroll down for other animal crafts for kids to make. There is lots to do. It doesn't matter what you chose, the kids will enjoy anything they create. A child's finger (No really, you are going to need this! Preferably with the kid behind the finger as well. Though your finger will work). Cover your work area with an old newspaper. Though the kids will try to be careful, it is always a good idea to protect work areas. 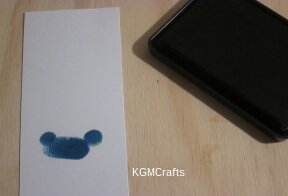 Place your child's thumb on the ink pad, so that it's covered. Push their thumb down on the cut cardstock. This is the bunny's body. 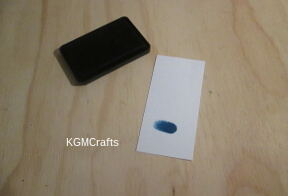 Cover the tip of your child's index finger with ink. 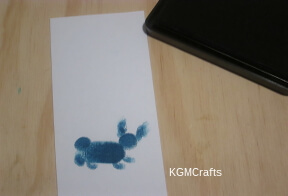 Push it down on the bottom part of the thumb print to make a tail. 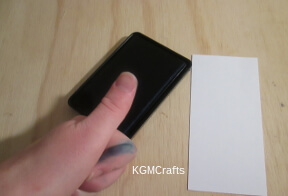 Re-ink the same finger and push it slightly above the thumb print to make a head. The head needs to be a little bigger than the tail. Take their middle finger and place it on the ink pad. You will only want a small amount of ink on one side of the finger. Push it down on top of the head to make an ear. You might need to re-ink the finger again and push slightly above your bunny's ear to make it a little longer. Do the same to make the other ear. Repeat the same process as above to make the legs. You may need to re-ink your child's finger to make each leg. Making your legs longer is not necessary. 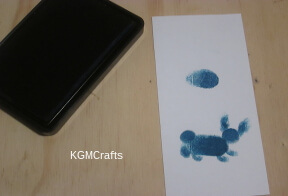 Cover your child's thumb with ink and make a print on the cardstock. When you make the print, try to make one of the ends a little pointy. This will be the turtle's shell. To make the legs, repeat the same progress as above. Re-inking their finger to make each leg. Making the legs longer is not necessary. There will be two legs on top and two near the bottom. Still using their middle finger, re-ink it. 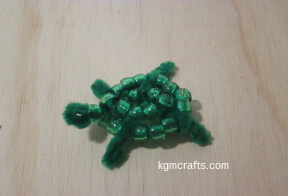 Push it on the pointy end of the turtle to make its tail look more like a tail. Before you do anything else, wipe up fingers with the baby wipes. There! Now we can finish the craft. Punch a hole in the top of the cardstock. Tie a ribbon through the hole. Some other ideas for the bookmarks are to add more prints to fill in some of the white space. Or write an inspiring quote with a marker. 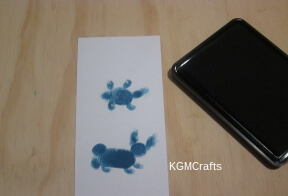 Try to make other animals or other items using ink and your child's finger, the possibilities are endless. The kids want to make something fun. Maybe a doggy or an T-Rex for their play. Let's click on a picture of an animal and have them crafting today. Now here are some nice critters that need a home. 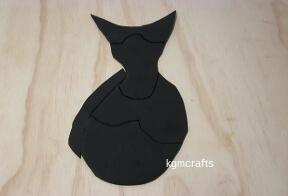 Make a dog, cat, or maybe a horse. Woof! Some are hairy, some are long, and some are just a dog. They won't bark or bite, they are here to be created and be your friend for life. They are wide-eyed and cute, furry and easy to do. Cats and kittens with their long lost mittens. Your kids will be meowing to get started. 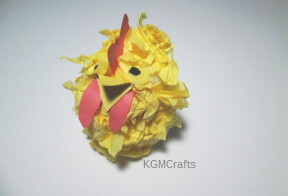 There is no need to do chores with these farm animal crafts for kids. (Hip-hip hooray!) Children love to play farmer Joe. Pretend to milk the cow or check for chicken eggs. Some critters are wild breast. Some have claws and even teeth. They might roar or growl, but the crafts won't bite. Come and make your own little safari. 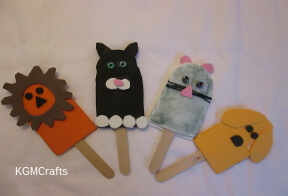 Create lions, tigers, bears, birds, and other animal crafts for kids that love to roam free. You know that saying about the early bird gets the worm? Well the night-owl gets the.... Well they must get something, consider the phrase "wise old owl". 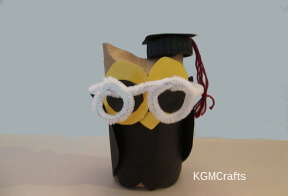 But you will find something to do tonight or today, like learn how to make a graduation owl or a stuff one. A home on a back, I wonder how much he has packed. He swims in the sea and then comes back to me. Build a friend, maybe two, build a whole group of little turtles. Make them out of beads, pipe cleaners, and paper plates. Now we can make a fine feathered friend, like exotic parrots or maybe a common bird will do. These friends won't fly away, as they are here to stay. Individual bird crafts are below. Mama, Papa, Baby Bear. Cute and cuddly, just wants some honey. You will find little bears, big bears, and teddy bears to create. 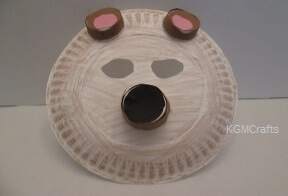 Find individual bear animal crafts for kids below. 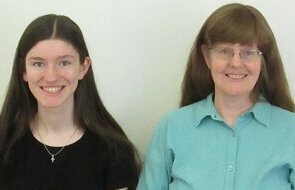 Look at their long, long manes. They are royal, elegant, and mighty like a king. A king over the grassy savanna, a jungle near. Have this magnificent creature come from the wilderness into your grand home. 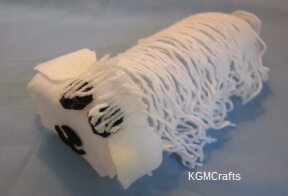 Make them out of toilet paper rolls or with a lot of yarn. 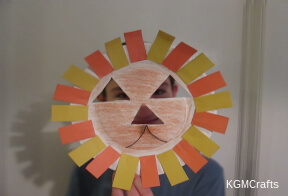 Here are the individual lion animal crafts for kids. A long time a go, in a land far away.... there were large reptiles called dinosaurs. So let's recreate an ankylosaur, a triceratops, or an ancient bird or two. Black and orange strips. Bubbly and bouncy. Tiger puppet shows and tiger masks. It all sounds fun, when can we roar? When can we put them all together? A creature made from cloth, sticks, or strings. An elephant, a girl, and a lion all with a story to tell. But what kind of story will they tell? Only if your kids make them will you find out. 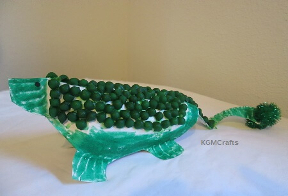 Creating animal crafts for kids can spark interest in learning more about the beasts they are creating.